Clients are talking more and more with us about their digital ecosystem. Specifically how their new product development plans fit into their new digital ecosystem. We have seen enough interest that it felt like time to have a more in depth discussion. Garner’s classic definition of a digital ecosystem is, “an interdependent group of actors (enterprises, people, things) sharing standardized digital platforms to achieve a mutually beneficial purpose.” G2|Crowd clarifies this into creating a collection of flexible products and services that can be shifted around and quickly be adapted to the ever-changing needs of a business. All of this is made possible by the internet and the computing power and applications it supports. If the goal is to develop new products, enter new markets and defend from disrupters, we stopped and took time at this point to evaluate our digital ecosystem at Northern Lights Solutions. We have the standard website, Facebook, Twitter, Youtube and other standard social media tools. What we did not realize is the huge range of digital platforms we rely on every day to run our business. We have a separate manufacturing business that uses additive manufacturing and traditional manufacturing to make products where clients upload their designs to our website and an autoquoter prices the product based on design and custom algorithms. Designs are evaluated, pricing determined, orders processed and confirmed with clients without a human being involved. This technology allows us to enter markets we could not be in without our digital platform. Another example is the new Plantweb Digital Ecosystem from Emerson. Plantweb harnesses the power of Industrial IoT to create a secure and robust real-time insight on manufacturing operations from pervasive sensing technologies. 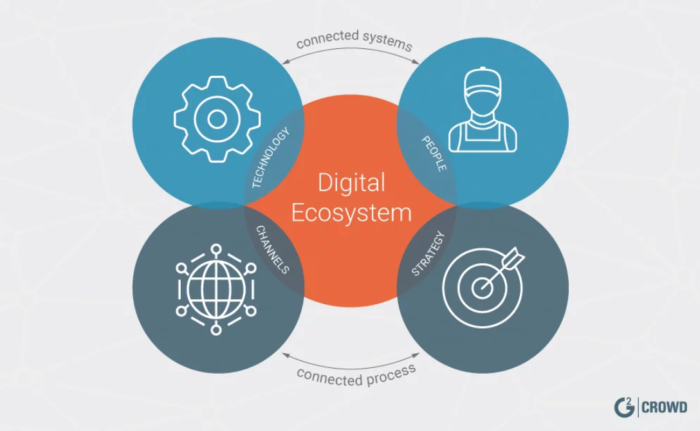 They have created a suite of digital apps connected to smart sensor devices all over factories to know what is happening at any time everywhere in their operation to improve operations. You can’t just have a static website anymore, a successful operation needs to leverage the internet to build relationships, develop new products and services, market and sell to customer and efficiently provide those products and services to customers.